Ajose Olusegun is a Nigerian-born British professional boxer. 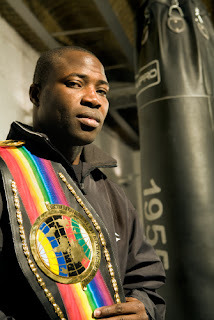 He competed for Nigeria at the 2000 Sydney Olympics Games reaching the 2nd round. As a professional he is unbeaten and is the former British and current Commonwealth light welterweight champion.